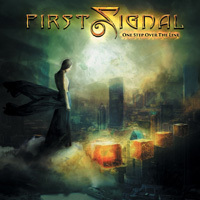 The first incarnation of First Signal featured significant vocalist Harry Hess (Harem Scarem, many others) and the multi-talent musician and producer Dennis Ward. Eerie echoes of the Harem Scarem sound permeated the self-titled album, and fans ate it up. 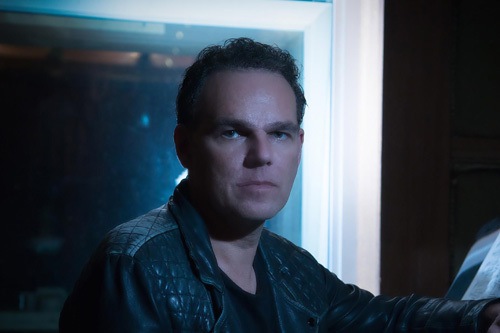 Now Frontiers Music pairs Hess with another up and coming talented musician and producer in Daniel Flores (Find Me, The Murder Of My Sweet, and more) for this year's One Step Over The Line. With little effort, you can always hook me with great melodies and vocal harmony wrapped up in solid and entertaining AOR melodic hard rock arrangements. That's the very definition of First Signal and this album. This is darn fine catchy stuff. Harry Hess is peak form, melodic, strong, with that slight little rasp in his voice. As for the songs, while not every song gripped me, they all hit the proper groove swaying between edgier heavy numbers to arena rockers to pure AOR ear candy. To be honest, I didn't think the album got off to the best start with Love Run Free and Love Gets Through, just sounding a bit generic, even strained at getting into the AOR groove. Yet fine songs, nevertheless. Hess and company really find their stride with Still Pretending, a lush ballad filled with melodic and lyrical hooks. The same could be said for the following Broken, Karma (listen below), and then the epic and uber-catchy One Minute Of Your nails it. The song is the very definition of AOR candy, and you're one your way to melodic rock Shangri-La. As you continue on, both Pedestal and the title track have some more assertive riffage for that edgier sound. In the latter song, Hess sounds even more assertive to match the music. December Rain and She Is Getting Away flirt with the arena rock vibe, again, thanks to melody and infectious chorus. As for Weigh Me In, a ballad, I've heard better. But, again, it doesn't diminish the overall exceptional music and appeal of the album. One Step Over The Line may not be quite the "hit out of the park" for me, but with this talent and these songs, Hess and friends are swinging for the fence. Easily recommended. One Step Over The Line may not be quite the "hit out of the park" for me, but with this talent and these songs, vocalist Harry Hess and friends are swinging for the fence. Solid AOR melodic hard rock and easily recommended.